We offer the Korean martial arts of Taekwondo, Hapkido and Kumdo. Taekwondo consists of kicks, punches and blocks. Training in Taekwondo is available for all ages. Hapkido is a self-defense martial art. Due to its physical demands, children wanting to train in Hapkido must be 11 years of age or a black belt in Taekwondo. Hapkido training for children younger than 11 is at Master Yu’s discretion. 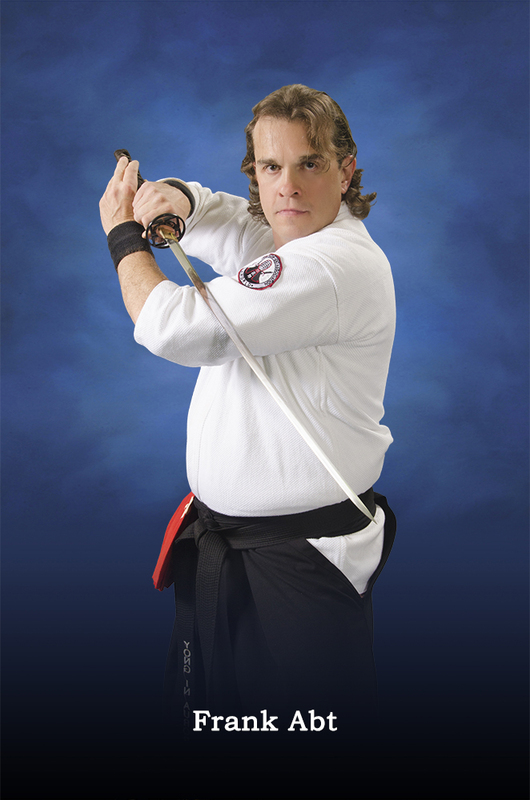 Kumdo is the Korean martial art of swords. Training in Kumdo is offered once a week in an adults only class. Yes, we offer 30 minute private lessons for any age or belt. There is a separate charge for private lessons. What do students wear to class? All students must wear their current belt to class. Adult black belts must, and all other students are encouraged to, wear their two piece dobok (uniform) to classes. Children of any rank and adults holding a color belt have the option to wear a Yong In Aurora T-shirt instead of the dobok top to class. All students are to wear their two piece dobok and current belt for testing. How old is too old for adults to begin and continue in martial arts? You are never too old to study martial arts! If you are concerned about physical restrictions, please let us know. We’ll work with you to develop a training approach that meets your needs. Does Yong-In Aurora offer special group events? Special group events are offered by appointment only (including Saturday afternoons). We can host for or attend your birthday party, school, church or scouting group. Special group events include a Taekwondo fun class, board-breaking, games and a discount in our pro-shop. Additionally, we are happy to offer custom group classes such as a self-defense class to a scouting group. Do you have a demonstration team? Yes. Our demonstration team is comprised of children and adults holding a red belt or higher. Membership on the team is a privilege. Children who are interested in being part of the demonstration team must show excellence at home, at school and at the dojang. Members commit to one practice a week and pay an annual membership fee. The demonstration team performs at local events, schools and the Fall CMA tournament. Are they opportunities for students to participate in tournaments? Yes! All students, including white belts are encouraged to participate in tournaments. Our school participates in the Chicago Martial Arts Association’s Spring and Fall tournaments. Additional training is provided to those students interested in competing prior to the tournaments. I began my training at another school. At what level do I begin my training at Yong-In Aurora Martial Arts? We do our best to honor a student’s prior training in Taekwondo, Hapkido and Kumdo. We accept a Kukkiwon (World Taekwondo Federation) and Korea Hapkido Federation certificates for Black Belts. The skills of students below Black Belt (color belt) will be evaluated so that we can address their training needs. How often do students test for their next belt? A test day is scheduled every two months. A notice listing the date and testing times will be posted in the dojang. Students may test once they have learned the 4 required skills at their current belt level. Students who intend to test must sign the clipboard in the parent area in advance of the testing date. A testing form should be completed and turned into the office in advance of the testing date. The sign-up sheet and forms will be available in the parent viewing area approximately 2 weeks before testing. Testing forms can also be downloaded from this website. How long does it take to earn a Black Belt? It depends on the student. It takes a minimum of 2 1⁄2 years of training before a student is ready to test for a black belt. Students do not test for their black belt until the individual student is ready to test. Black Belt testing is held twice a year, in Spring and Fall. Kumdo literally means, the way of the sword. Rich in both tradition and techniques, Kumdo roots go back nearly a century and are based on methods far older.